Conversion barrel only. 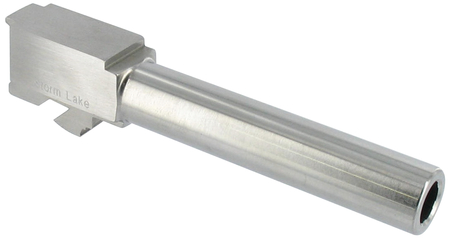 Machined from certified 416R stainless steel for superior strength, durability, and accuracy. Barrels are match grade, hardened to 40-42 HRC and cut broach rifled to shoot jacketed or lead bullets. All barrels are chambered for full case support. .40S&W-to-9mm conversion barrel requires the use of a 9mm magazine.